Closet organization makes finding the clothes you love easier! I love closet organization and that feeling that comes when your clothes aren’t all smashed together. Who enjoys pushing clothes over to cram a shirt in? I think closet organization is fun, and you get the benefit of an organized closet for the months to come after the task is completed. Every morning when I choose my clothes, I have a sense of peace and calm when I can find what I want easily. Plus my clothes are not wrinkled from having too many clothes for the space. Closet organization does take time and a little effort, though. Do any of these excuses sound like you? Truth: By organizing your existing space, you automatically gain the extra room you need. It’s not how much space you have, but how you use it. Truth: Organizing is not the same as spring cleaning or straitening up. If you organize properly, it’s a one-time activity. Organizing systems are fairly maintenance-free when you use them as part of your daily routine. Truth: You may have too many clothes and need to purge, but when your clothes are hung systematically, you will be able to find what you need. Also, they won’t be crammed in, so there won’t be anymore unnecessary ironing. 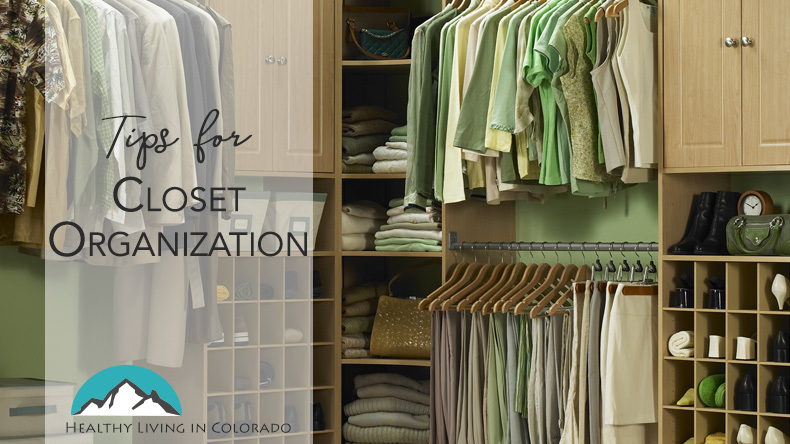 You save time and money when your closets are organized. Truth: The longer you wait, the worse it will get. With one step at a time, all things are possible. Start with one closet, then reward yourself and do another one! If you want to work on your closet organization skills, the first thing you need to do is commit yourself to having the closet you really want. Think about what it’s like now, then dream about what it could be. Think about how your life would be simplified, how much time and money you would save, and how good you will feel once the job is complete. Next, think about which closets you want to be organized. When you determine which one makes you most stressed, start with that one. Few things in life come without compromise. You may have to give up a few items in order to make your closet the best it can be. Don’t just buy gadgets and items that claim to solve your organizational problems. Often, these things just add more clutter and don’t truly fix your disorganization. 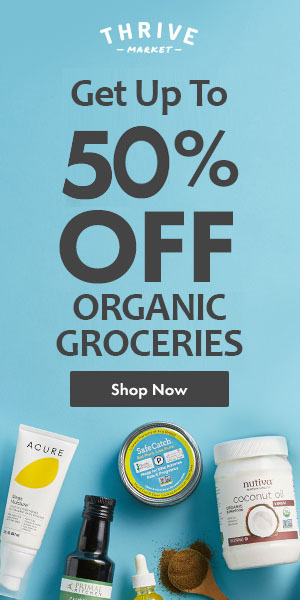 Try to purchase products for your closet that match and are uniform with each other. For instance, buy the same color baskets or the same color hangers. I’ve logged over 600 hours designing closets for people. Through that experience, I’ve learned that there are six things that will probably need to go in your closet. 1. Long Hang: This would be dresses, robes, pants hung by the cuffs, etc. 2. 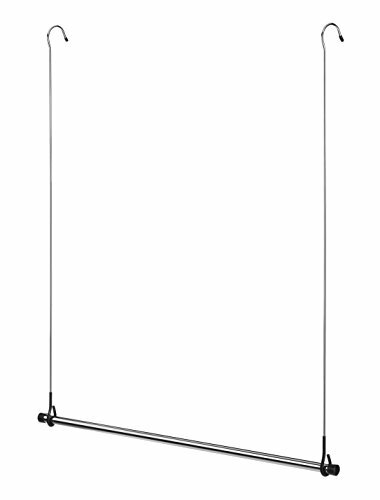 Double Hang: This is what it sounds like – it doubles your hanging space. This is for shorter items like shirts, skirts, suits, etc. I love this double hang bar, especially if all you currently have is long hang. It can double your hanging space! 3. 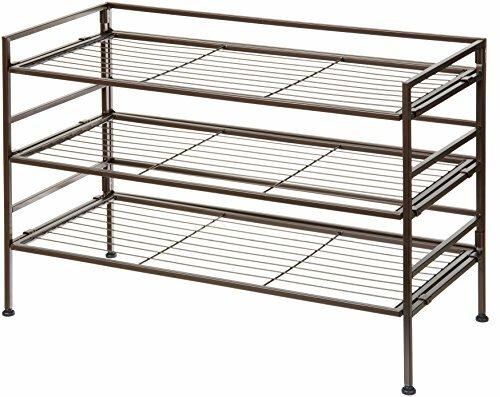 Shelves: These are great for purses, sweaters, etc. 4. Shoes: These can be stored on shelves, racks, on the door, etc. Here is a shoe rack I like. 5. Drawers: These are best used for smaller items like socks, undergarments, etc. 6. Accessories: Belts, ties, and jewelry all need a home. 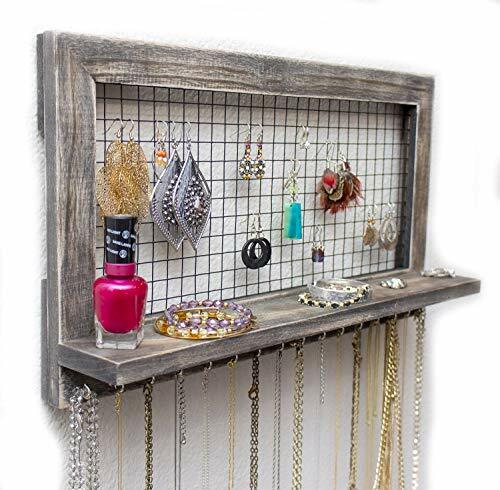 I love this organizer for jewelry. It’s beautiful! Once you have considered how much space you will need for each of these six categories, you are off to a great start. If there is currently something in your closet that does not belong in one of these categories, consider taking it out and putting it someplace else. Remember to use “odd space” to your advantage. Think about hooks to go on walls that are not big enough for a shelf. The hooks could be used for hats, boots, or other small items. Think about the inside of your closet door. Many doors can hold a shoe rack nicely, or an organizer for belts or jewelry. Once you hang your clothes, color-code them. It is more appealing to the eye, and things are easier to find. For more good hacks and pictures, Good Housekeeping has a helpful article. As we all know, children grow up so quickly! It only makes sense that they should have a closet that grows with them. If your child’s closet only has long hang and they can’t reach the bar, an easy fix is to put in a double hang bar like mentioned above. Ideally, a child’s closet should have lots of drawers. Children can easily put toys or clothes in drawers, helping them learn to clean up after themselves. Smaller children have a hard time hanging clothes up, so make it a little easier for them by teaching them how to fold their clothes instead. I hope you have found these ideas helpful for closet organization. Please post below what your favorite tips are, and share with a friend who would find this information helpful as well!